Updated with plenty of new and improved! New coffee bar in eating area with Quartz countertop and new cabinets to add additional storage. Quartz counter tops throughout kitchen area with all new stainless steel appliances, lighting and up graded sink faucet. Freshly painted with all new lighting throughout. Master bath shower has been updated with new tile, shower head and 3/4” glass door, very spa like! New washer and dryer in the laundry room. Freshly painted garage with new garage door openers and remotes. Front window is new. Large oversized deck. Newer carpet in all rooms. 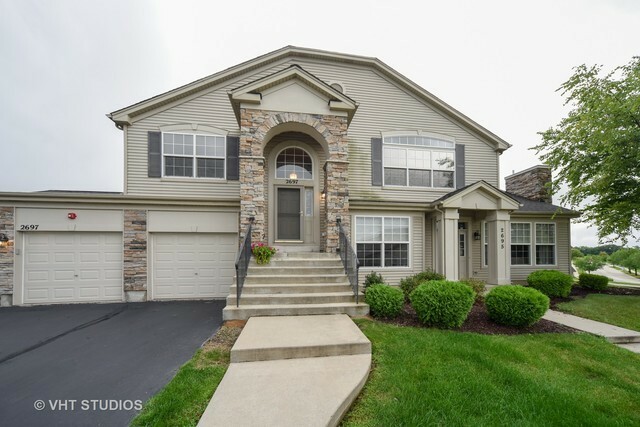 Great location in West Dundee with easy access to shopping and toll road.